We offer a variety of services just right for you, and with over 110 years in Peoria, IL, it is clear why you should choose Bob Kelch Floors. Whether it’s in your home or at your place of business, our quality work and craftsmanship speaks for itself. As a company in the hardwood flooring industry, our name has grown over 6 family generations. 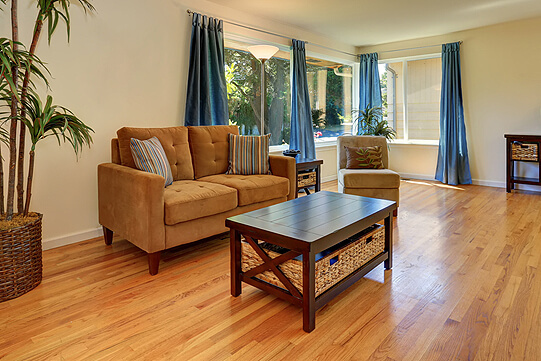 Providing services beyond expectation, from floor sanding, refinishing, staining, trims, to floor care and even custom installations, we will make your hardwood floor dreams come true. We’ve been using quality products from such suppliers as Bona Kemi, MinWax, Mulligan Floors, and more. We also offer **Deep Cleaning** of hardwood floors! Bob Kelch Floors uses up to date equipment, offering dust-less work. The floors we install don’t require waxing, and are a maintenance free surface. Satin, Semi-Gloss, & High Gloss available. Advanced scheduling is suggested. call us at (309) 673-8383. You can rely on Bob Kelch Floors, and trust us to go above and beyond your expectations!